There are lots of benefits of Mobile app Development. It is advantageous for e-commerce, News, Healthcare, Personality development and many more. One of the important uses of Mobile Application is education Development. There are so many facilities available in the application where kids can learn many knowledgeable things. Kids Learning App Development is one of the best ways to expand the knowledge of your children. How we learned our way through Kids Learning Application Development? Today, Mobility solution helps to extend your inner development abilities. It comes with multiple solutions for all ages. We know that Mobile Application helps people to grow their business online. Also, it provides variety of choices and availability for the customer. Same way, technology is the possibility to design the inner development skills of a kid. Latest technology as kids learning application has given a new way to learn through audio, visuals and self experience. Kids application comes with the variety of educational services that can generate the interest of a child to learn it. Thus, we have decided to expand the ways of educating a child through creative app. Do you want to create an application for the purpose of kids education? If yes, then what are you waiting for? Let's connect together and create some remarkable solution. We develop specific Game applications for kids where they can gate entertainment with games. 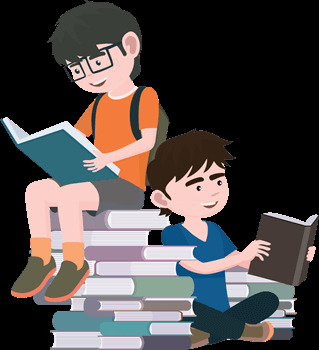 Some of our kids application help your children to improve their educational skills. By solving the puzzle as a game, kids can improve their brain efficiency. This type of application can teach them the right way to solve any problem. Also, they can learn socialism from couple of stories. Math Apps can improve the calculation power in the children. They can get an idea about the scientific knowledge and it can differentiate the interest of your children in particular subject. Children can improve their communication skills with the entertainment applications. AR and VR apps will connect them with virtual world of technology. Music apps can also help them to improve their communication skills for particular language. Why should you plump us for your Kids App development company? We provide end to end services to our client so that we can maintain the security of them. At Concetto Labs, our professional developers ensure to provide wide range of services to our client. We provide affordable and secure development services to our client. We believe in quality rather than quantity. How our services give us higher grades among our competitors? We respect the idea and needs of our customer. Thus, we always believe in work as per the clients requirement and we do arrangement accordingly. We deliver high quality work in the given deadline without focusing on the Price of the project. We maintain the transparency during working on the specific project with the client. We provide 24 hours consultation support to solve your queries OR doubts related to the project.